This Earth Day, I found myself struggling with some philosophical truths. We humans are in danger of destroying everything around us (and thus, inevitably, ourselves) with situations that we have ourselves created (and one material in particular, which was this year’s Earth Day theme: plastic). Climate change has now been acknowledged by most scientists as actually created by man. A speaker some years ago at an Environmental Foundation of Jamaica lecture posited that we have already entered the Anthropocene age – in other words, the epoch when humans take over. It has been a popular concept for some years now, although still debated by scientists. When did it begin, though? At what point did we begin to leave an indelible mark on this planet – one, perhaps that you could see from the International Space Station? Be that as it may, there are other ways in which we have so obviously degraded – literally, trashed – our meadows, hillsides, lakes, rivers, oceans, that we are confronted with it every day. It is something we ourselves created, and at the time we thought it was the greatest thing ever. There were a number of versions of what could be called plastic over the centuries. However, plastic as we know it in the modern sense actually began with something called Bakelite, in 1907. It was hard and brittle. In the West, it was World War II that really sparked a surge in plastic production, with all kinds of applications. After the war, there was no stopping it. You may recall Tupperware (I think it’s still around) – those exciting plastic food containers in different shapes, sizes and colours. 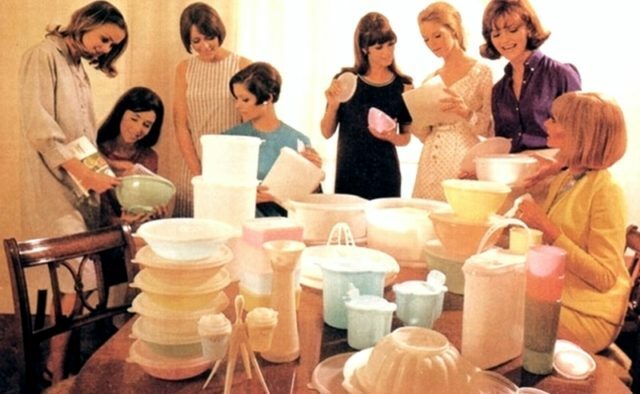 In the UK, happy housewives held “Tupperware parties” and invited friends to buy them. It was almost a status symbol. Tupperware parties: When plastic was, oh, so fashionable, so desirable! This was when plastic was considered cool. How ironic, though, that it was a man-made war that began the mass production of plastic. Fast forward to the 21st century – specifically here in Jamaica – where we are overwhelmed with plastic of all kinds. There is the visible plastic. It’s around every corner: down in the gully (whether urban or rural – there are many unofficial garbage dumps in country places, too); in overflowing skips that are not emptied regularly enough; bobbing up and down in Kingston Harbour, especially after heavy rains; trapped in the roots of mangrove forests; thrown to the side of the road by motorists or pedestrians, without a care in the world; clogging drains, waiting there to play its part in the next flood. There is the less visible plastic. Microbeads sound rather cute, but they are not. They are almost too tiny to see, and yet we like to have them in our facial scrubs and toothpastes, for some reason. Fish eat them. We eat the fish. There is the undersea world of plastic, which we only become aware of when a sad, starving whale washes up on a beach and is discovered to have eaten plastic instead of food; or when we find a turtle with a plastic straw stuck in its nostril. We never imagined any of this happening. Did we? Now we express horror at videos of penguins sitting on an island of plastic; of a beautiful, delicate sea horse drifting along, hooked onto a plastic Q-tip. Recently, I saw a video of a coral reef (which is a network of living organisms) eagerly trapping and eating tiny pieces of plastic floating by. How did we reach this point, we ask? How did it come to this? It’s surreal. We select those “shock” emojis on Facebook. We gasp. What can we do about it? On Earth Day, I saw numerous tweets and Facebook posts that gave me hope. Perhaps people are getting the message. Senator Matthew Samuda organised a beach clean up at the distressingly dirty Bournemouth Beach in downtown Kingston. 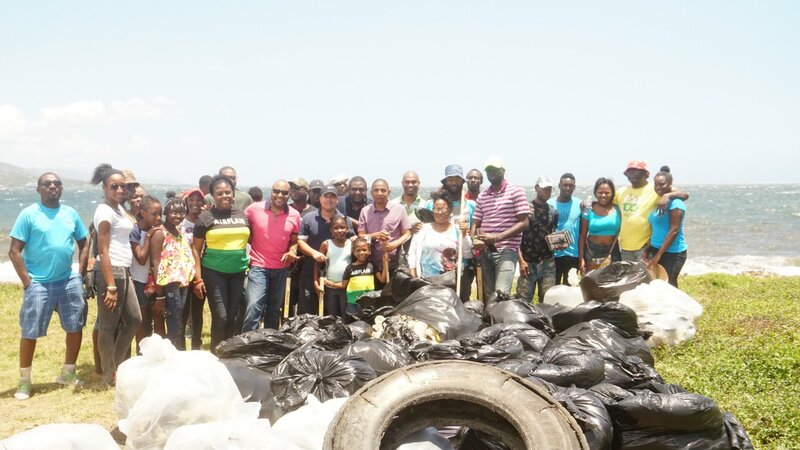 In one photographs, Mayor Delroy Williams and the other volunteers posed in front of a stack of filled garbage bags; only about half of them managed a smile. 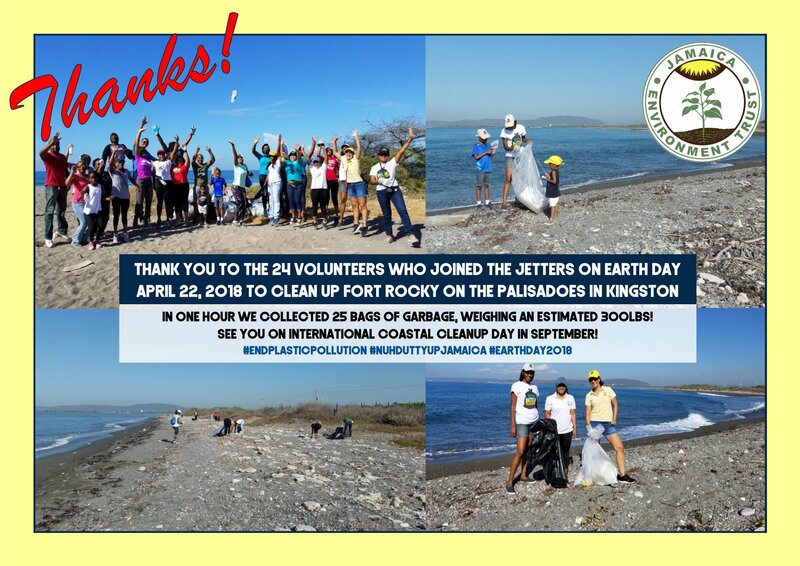 Jamaica Environment Trust volunteers collected 300 pounds of garbage (as always, mostly plastic) at Fort Rocky beach on the Palisadoes Road – in just one hour. 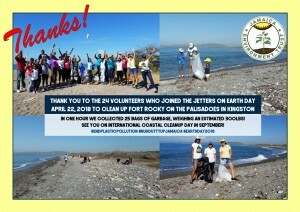 All the great efforts on Earth Day were so encouraging; so much energy, so much passion for the struggle with plastic. There are also plans to ban plastic, although I am not sure where that initiative is going. Recycling programmes and depots are popping up all over the island, although I believe much of the plastic collected is simply being stored somewhere, for now. I would like to be told that it is all actually being recycled, in the true sense of the word. Perhaps, repurposed – in particular, single use plastic like cutlery. However, there may be a scientific way that might eventually beat plastic – no longer a cool, fun substance, but a nuisance and a very real threat to the health of our planet and ourselves. Plastic is a derivative of fossil fuels – oil. Bioplastic could be the way of the future. Pepsi produced the first bioplastic bottle in partnership with a company called Danimer Scientific recently. If the research and innovation can step up the pace, there is hope. Because we need to step up the pace. Here in Jamaica, we need to stop talking about ways to deal with plastic and get started on something, whatever the cost. Let’s not simply ask the government to come up with ideas. The private sector needs to step up to the plate, in a meaningful way. I think there is a word called “ecocide” that someone coined a few years ago. I generally dislike made-up words. However, if we are intent on killing our ecosystems, then we may as well put ourselves on suicide watch. Death by plastic. Because if we are determined to make other animals extinct, then we should put ourselves on that list.